There are many interesting crater lakes around the world and many are exciting natural wonders. 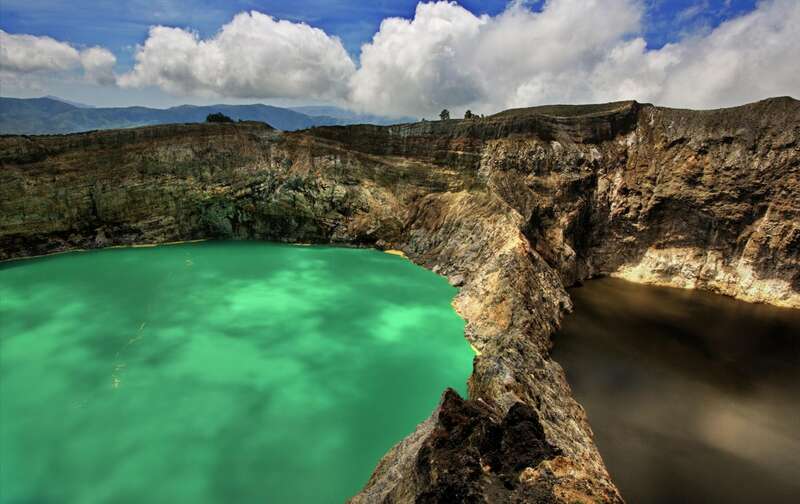 Some of the most surprising are the three Kelimutu crater lakes in Flores island, Indonesia. Bowl-shaped hollows near the summit of volcanoes – craters – often are filled with lakes. Most of their water comes from rain and also small streams. Crater lakes “sit” on the top of volcanic vents and often through these vents in the lake water are injected gases, sulfur, metals, and other substances. Thus volcanic crater lakes are quite unusual. Frequently these lakes are acidic – volcanic vent injects sulfur, which reacts with water and creates sulfuric acid. Sometimes these lakes consist of almost pure acid. The color of water in volcanic crater lakes also might be unusual – these lakes can be light blue, green, white or even red. 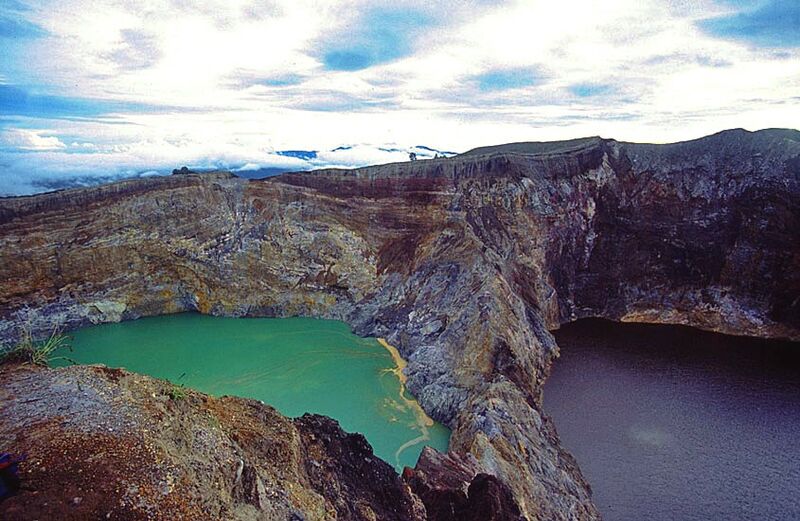 Kelimutu is dormant stratovolcano – steep-sided volcano with crater on its top. Around the summit of volcano has developed lush tropical forest with rare and even unique species. Some of the best known are two unique plants: uta onga Begonia kelimutuensis and turuwara (Rhododendron reschinum). There have been no large eruptions in the historic time – only comparatively small phreatic eruptions, e.g. steam explosions, as the groundwater reaches magma. Last took place in June 1968. 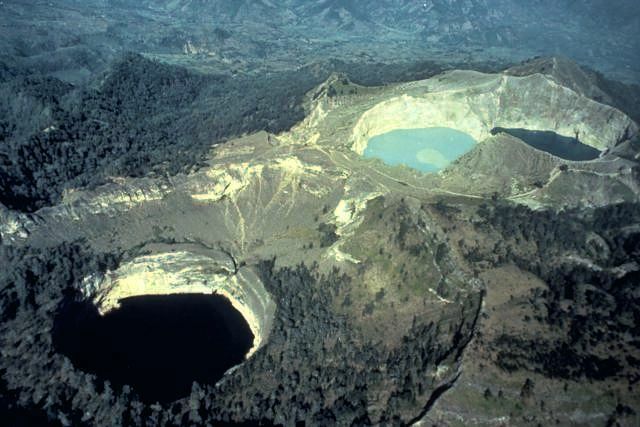 On the eastern summit of Kelimutu are located three crater lakes – each with its own geochemical and hydrothermal regime. Thus, even if they are located close together, each of these lakes lives its own life. As a result, each of Kelimutu crater lakes has its own color and this color changes over the time irrespective of the changes in other two lakes. – Tiwu Ata Polo (Bewitched or Enchanted Lake). It seems – under the northwestern part of this lake is fumarole – often there is observed a white froth and bubbles on the lake’s surface. Lake is some 330 – 400 m wide and up to 64 m deep. This is an acid-saline volcanic lake where the color changes could be a direct result of changes in the oxidation state of the lake’s water. Both last lakes are located close together and are divided by a natural dam, which raises some 35 m above the lake level. Dam is not stable – one day it may collapse and both unique lakes would turn into one. All three lakes are fed by similar volcanic gases but the supplied amount and chemical content of this gas fluctuates for each of the lakes separately. Thus, thanks to complex chemical processes of oxidation and reduction the color of lakes is changing over the time. For example, in January – November 2016 the color changed six times. Main determinant of the changes in the color of lakes is the content of oxygen. If there is less oxygen in the lakes, they become more green. If lake is rich with oxygen, its color is deep red to black. A process of oxidation is influenced by the rain and input of volcanic gases and groundwater. As lakes are not connected, chemical processes in each of them are independent – thus also their color changes independently. Thus Kelimutu has obtained unique natural decoration – three lakes which always have different colors. 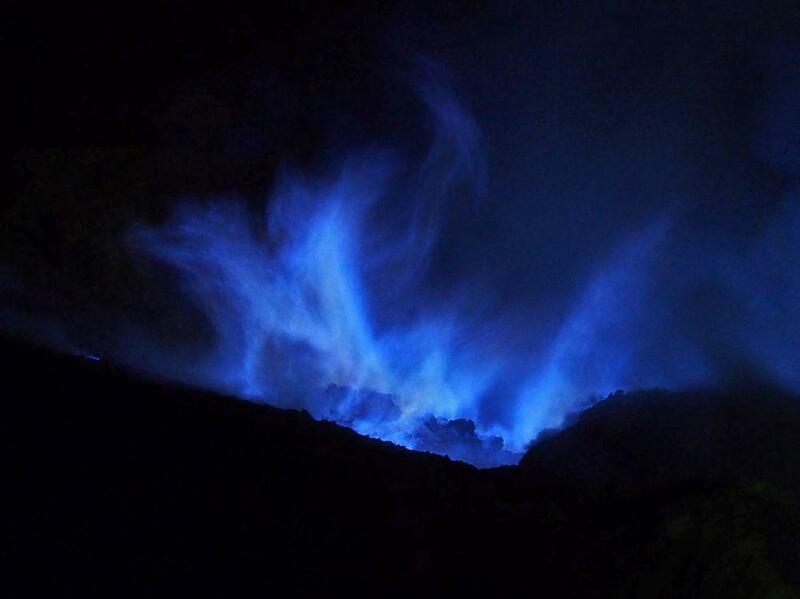 There is no other volcano on Earth with similar phenomena. Locals, of course, have known about these lakes since antiquity but first known European to reach them could be French naturalist Leroux, who mentioned these unusual lakes in his travel log in 1896. A more extended scientific description was made by the Dutch colonial geologist Kemmerling in the 1920ies. Over the time lakes have been much studied and the chemical processes of the unique lakes are more or less clear. At the same time, proper volcanological monitoring system here still is missing. In 1992 was founded Kelimutu National Park with an area of 5,300 hectares and over the last decades, there has been reached certain equilibrium between the interests of nature conservation, local people and increasing stream of tourists. Tourists now love to visit the summit of Kelimutu in sunrise and enjoy the unique view on three diversely colored lakes basking in the lush light of rising Sun. Indonesia is a true land of wonders. There are few other countries in the world which can offer similar array of diverse, unique and beautiful natural and cultural monuments. 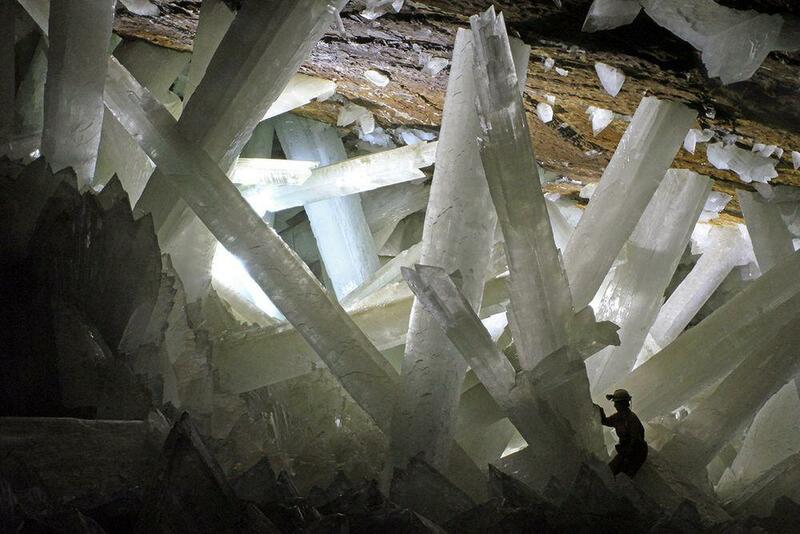 This category includes most unusual and interesting volcanoes of the world. Over the last 10,000 years in some 1,500 places around the Earth through the crust of the planet has been emitted lava, ash and gases from the mantle of Earth. Each of these places could be considered to be an active volcano. 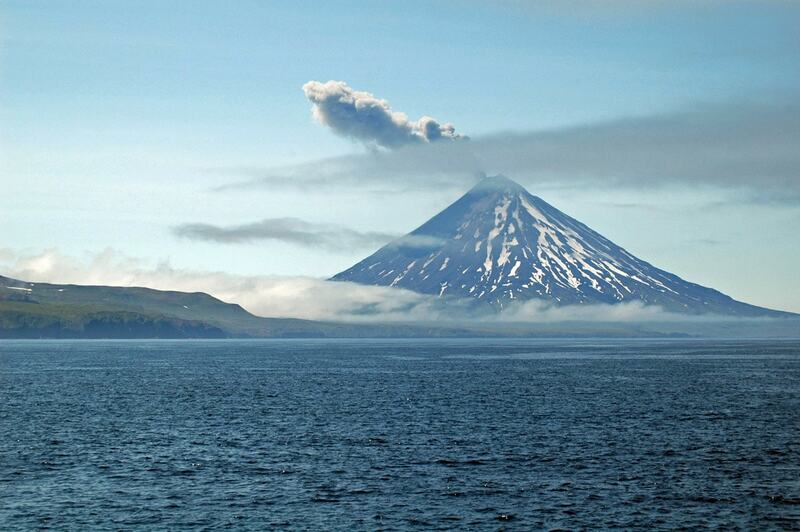 Every year some 50 – 70 volcanoes are erupting, at any moment there are some 20 – 30 eruptions on-going. This travelogue describes the sixth of a series of long distance journeys through South East Asia. It covers the train trip from Jakarta through the northern part of Java to Banyuwangi on the eastern coast of the island. Thereafter, the ferry crossing to Bali is described as well as the bus trip to Denpasar. The content is anecdotal and richly illustrated with photographs. A humorous travelogue on Indonesia.